Access Control Monthly Fees? No!! Cutting edge IP based access control systems. Scalable from single door to multi-site full building installations. Professionally designed and installed burglar alarm systems. Commercial and residential systems by Armor Security Group. 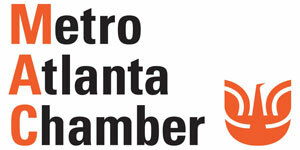 Atlanta Locksmith & Door Hardware service provider since 1965. We specialize in commercial locksmith hardware, master key systems, & lock rekey/repair services. New safes, used safes, installations, openings and repairs. Visit our safe showroom to see all the latest safes. Custom designed and installed IP & Analog security surveillance systems. Single building to multi-site installations. Welcome to Armor Lock & Security, Inc. We are Atlanta's most trusted single source locksmith, access control, alarm, and security camera installation company proudly serving metropolitan Atlanta since 1965. At Armor, we service and install access control systems, burglar alarms, door locks, door hardware, security cameras, and safes for your home or office. For a more complete list of our atlanta locksmith services, please check out our locksmith page. Over the years Armor has evolved from simply a traditional Locksmith company into a full-service security systems integrator providing services ranging from lock hardware to a broad range of electronic security systems. As Atlanta's most trusted commercial security company we pride ourselves on bringing our customers same day service. We maintain a large fleet of clearly marked service vehicles and technicians to service all your security needs. We strive to maintain the highest level of customer satisfaction and settle for nothing less. Working with Armor is a partnership and we are constantly looking for better ways to serve you. Armor is a fully licensed, bonded and insured company available around the clock 24/7 to professionally safeguard your environment with state-of-the-art technology. As the leading Locksmith and Security provider in Atlanta, Armor is committed to fair prices and complete customer satisfaction. Your safety and security is our business! Why choose Armor as your locksmith, access control, alarm, and security camera service provider? 1. Armor's knowledge of the Atlanta market place is second to none. We have been working as a commercial locksmith in Atlanta for over 50 years. We have seen and been apart of the changes and growth in Atlanta and through this we have gained valuable insight into the security needs of our customers and our markets. Our committment to Atlanta is evident in our office and training facility. We invite you to stop by anytime and see the company that is handling your security! 2. Armor's Staff and Technicians are the best! Our locksmith technicians have been with us on average 15+ years. We have a cumulative total of over 250 years experience between our service technicians. That is experience which will better help us serve our customers needs. 3. Armor's size allows us to serve our market better. We have many service trucks throughout Atlanta each day and because of this we are able to give our customers great service. We never make you wait more than 24 hours for a site visit, over 99% of the time we can see you same day. 4. Armor carries the proper insurance and licenses to serve you. We expect and invite our customers to check for proper insurance before service is performed. 5. Armor takes an interest in our customers, stated simply "We care". Our repeat customers know us by name and we know them. In addition, we know their properties and operating procedures. We take the time to understand our customers and their needs because we intend on keeping them as clients. 6. Armor is one of the very few companies in Atlanta that has the capability and knowledge to provide all security services in house without sub-contracting the work. This means we are able to control the pricing, timing, and quality of our work and stand behind it with a quality guarantee.